What a weird night. 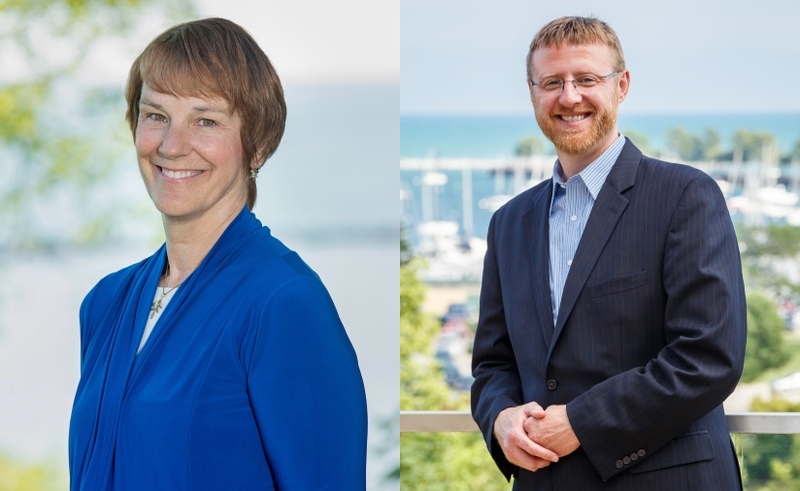 Lisa Neubauer and Brian Hagedorn effectively turned the blue wave just a tad more purplish in Milwaukee and that appears to be enough to send Hagedorn to the Wisconsin Supreme Court. If you saw the Dane County results first, you’d have been convinced Neubauer would win a convincing victory over Hagedorn and a seat on the Wisconsin Supreme Court. Instead, the conservative Hagedorn, who was badgered by bad press and abandoned by a number of conservative groups in the lead up to the election, appears to have won a statewide race by a mere 5,960 votes. A recount is likely, but probably won’t change the final outcome. Yes, Milwaukee mustered a pathetic turnout rate of 22 percent turnout, but 10,383 more ballots were actually cast in this race than in the 2018 spring election that saw Rebecca F. Dallet defeat Michael Screnock for a seat on the Supreme Court. Dallet got 43,552 votes (75.36 percent) from city residents in 2018 en route to her statewide victory. Neubauer managed to earn 49,786 (73.04 percent). The problem? The percentage change. Dallet got a higher percentage of city residents than Neubauer did. Had Neubauer gotten as high a percentage, she would have picked up 2,036 more votes from city residents, erasing much of the statewide gap. Lisa Neubauer’s performance in Milwaukee County, home to the 414 area code, effectively doomed her statewide chances. She fared even worse with county voters then she did with city voters compared to Dallet’s campaign. If Neubauer had simply garnered a comparable percentage in Milwaukee County (Dallet got 65.68 percent, Neubauer 62.28 percent), all of her statewide shortcomings would have been inconsequential. She would have earned an additional 5,951 votes, just bigger than the difference in the statewide spread, and compounded her advantage by taking votes away from Hagedorn. In my fall 2018 election piece, I pegged 66 percent as a key result. It was the percentage Governor Scott Walker garnered from Waukesha County voters. An impressive percentage, but a fall of six percent from his 2014 win, when he got 72 percent. Walker’s problem grew as turnout went up between the two races, meaning winner Tony Evers managed to pick up 17,500 more votes in the county than 2014 candidate Mary Burke. Yesterday’s Supreme Court race reversed course. The conservative Hagedorn picked up 69 percent of the vote and leveraged a higher turnout to win by 17,023 more votes than Screnock did in 2018. A similar pattern played out in the other WOW counties, Ozaukee and Washington. If a liberal wants to win a statewide race they need to do well in Milwaukee and Dane counties, but they also can’t afford to get absolutely destroyed in Milwaukee’s incredibly conservative suburban counties. Neubauer had trouble in a lot of counties compared to past liberal judicial candidates. Her performance in Racine, her home county, serves as a microcosm of her statewide woes. It’s rare in recent years for a liberal candidate to win the county, but Neubauer could have used some semblance of a home-court advantage to narrow the gap. Despite a high turnout statewide (compared to the 2018 spring election), she lost the county by 14 percent, while Dallet only lost by four percent. She got more votes (good), but a lower percentage of the total (very bad). The race between Marva Herndon (3,125) and Shyla Deacon (3,098) for a seat on the MPS board was decided by just 27 votes. But here’s the rub: 40 people submitted write-in votes and 982 people simply didn’t cast a vote for either candidate (an undervote). A reminder to the voting public: read the entire ballot. There were five races for the MPS board on the ballot, and teachers’ union-backed candidates won every one. The Milwaukee Teachers’ Education Association (MTEA) might not have a lot of clout in Madison, but it does in Milwaukee. Herndon will join fellow newcomers Bob Peterson, Erika Siemsen, Sequanna Taylor and Megan O’Halloran on the nine-member, MTEA-dominated board. Danielle Shelton will become just the third African-American female to serve as a judge on the Milwaukee County Circuit Court. She trounced incumbent Andrew Jones 65 to 34 in the city on a percentage base and lost the rest of the county by only 20 votes. Wouldn’t Nrebayrr still have won if the northern counties had not flipped back conservative. Neubauer resoundingly list Maintowoc and Marathon and others where Dallet had squeaked out victory. See Craig Gilbert’s article in yesterday’s JS. Also, any idea why Milw folks voted for Hagedorn when they so resoundingly went fir Dallet last year? Great information and analysis. Helpful to see how, or rather what, made the difference in each race. Only the people who vote get the results they want. “A reminder to the voting public: read the entire ballot.” That’s not really why people undervote. They may only care about certain races. If you don’t have kids or aren’t a teacher, there is not a ton of incentive to vote in a school board election. Democrats need to vote in EVERY election. They have only themselves to blame for this loss. I am ashamed of Wisconsin’s voter turn out. Less than 27%! You get the government you deserve. Anyone who has a friend, family member or who believes in equal rights and didn’t vote betrayed their LGBTQ family or friends. Make sure you don’t attend any Gay Pride marches, festivals black lives matter, women’s rallies or any other civic event protesting current state of affairs, if you do, you are a hypocrite. You are just there to drink and watch the people. Last election showed how close elections can be and if after two years you couldn’t bother to get registered or were just too lazy to vote you deserve what happens to you. I’m a white, retired, male who enjoys the ability to live comfortably. I’m not going to get stopped for driving while white. I’m not going to get beat up because of my life choices. Those of you who complain about how you are treated and didn’t vote; SHUT THE HELL UP! For the next decade we have a Supreme Court Judge who interprets the constitution through the Old Testament and doesn’t believe in equal rights or separation of Church and State. Nice job Wisconsin. This is certainly not intended for everyone who did take the 15 minutes out of their day to try to correct some of the atrocities that are going on in Wisconsin. Regarding Iccfccoop2’s question, perhaps Hagedorn benefitted from a bit of a “favorite son” factor. He’s a native of Milwaukee and I imagine has established friendships and family ties here. And for whatever reason, statewide the “negative Walker” factor didn’t seem as strong as it had been in the most recent Supreme Court election. I have to admit the Walker connection with Jones and Hagedorn was all I needed to vote for Shelton and Neubauer. Apparently that wasn’t the case with many northern county voters. In my outburst I failed to mention all those who have been denied voting for having felonies on their records for simple things like marijuana arrests and other similar reasons.